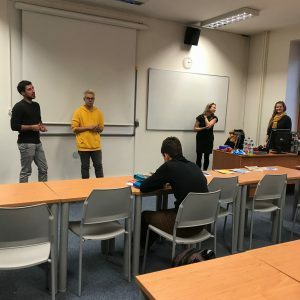 Kate, Marty, Diana, Karl and Sylvain went to Křenová on Tuesday, November 20, to meet the students of the Gymnázium Brno high school, during a time slot usually reserved for discovering different organizations and opportunities. 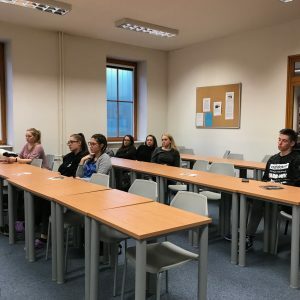 The first part was held in Czech language, in order to present Erasmus + and the Brno For You organisation. Kate had the opportunity to explain the different possibilities offered by the structure and the events organized. It was also an occasion to present the youth exchanges, Erasmus + programs that the Brno For You organization is developing and coordinating. 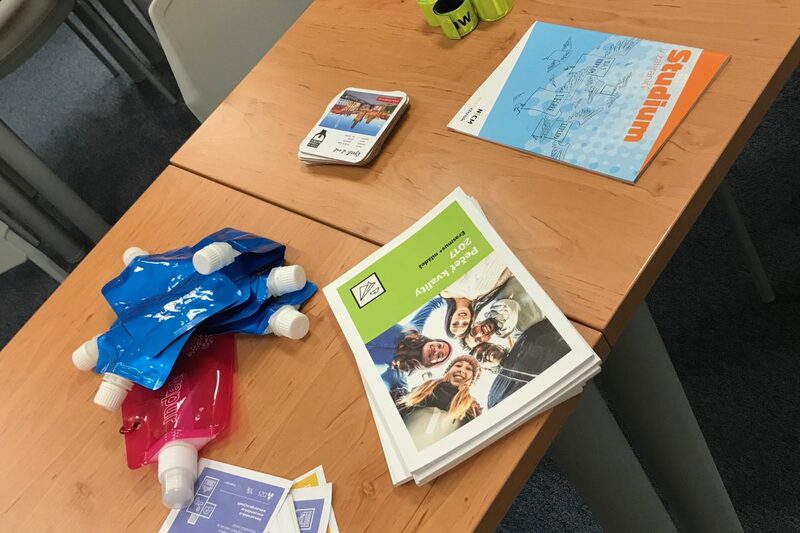 These projects are particularly interesting for those high school students who were interested and were able to learn more about non-formal education. In the second part, volunteers Karl and Sylvain conducted a team building activity, in order to put into practice what can be done during youth exchanges. Then they were invited to talk about their experience as volunteers, hoping to have given these young people the desire to try the adventure in the near future.